North Pacific, Sea of Japan, Bering sea, Chukchi Sea, Sea of Okhotsk. Adult females show strong diel vertical migrations; males are usually non-migratory. 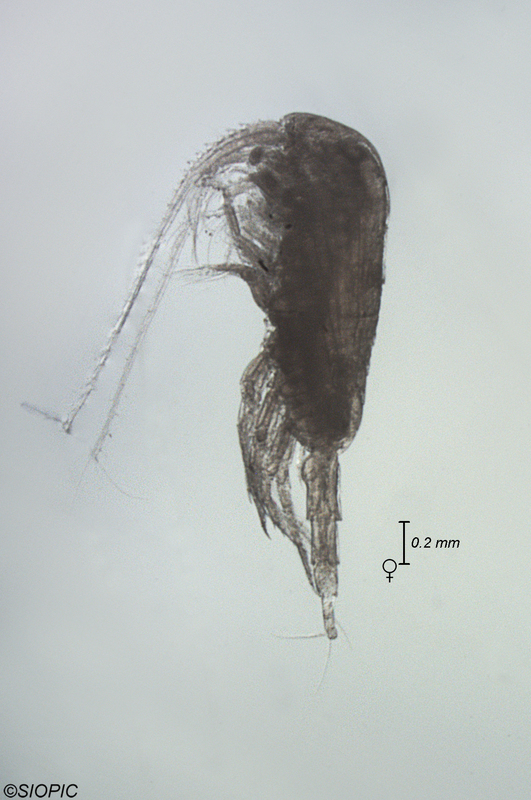 Conspicuous seminal receptacles in adult female; anterior portion of prosome wider than posterior portion. 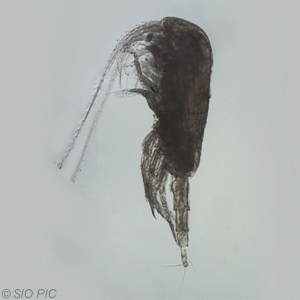 Among the more abundant copepods off Southern California, especially in night samples over deeper water. 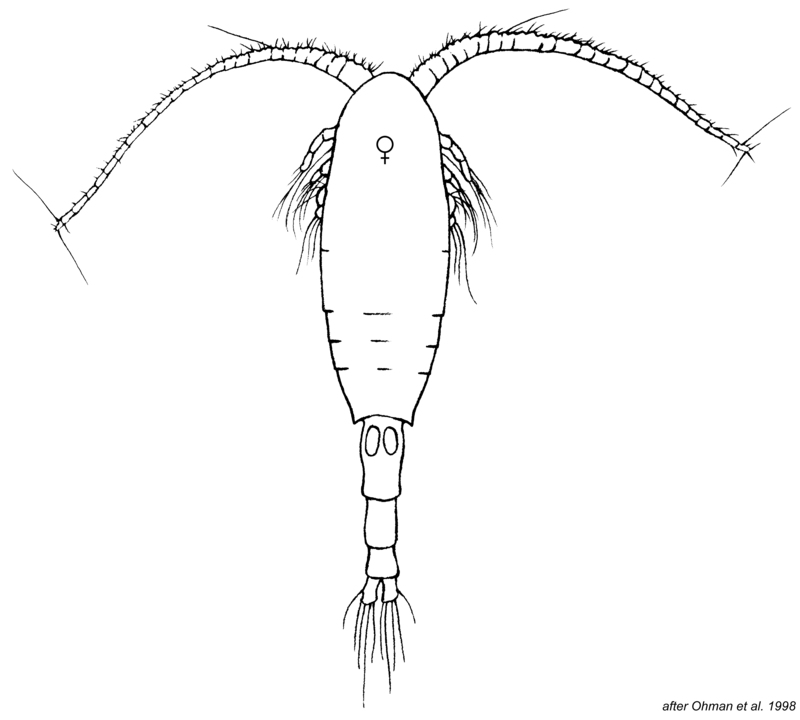 Ohman, M.D., Drits, A.V., Clarke, M.E., and Plourde, S. (1998) Differential dormancy of co-occurring copepods. Deep-Sea Research II 45: 1709-1740.